beautiful True Ames 7.5" Parrish Fin is a classic ‘70s era single fin. Tom Parrish is a long time honourable man of surf. A great shaper and designer. This beautiful True Ames 7.5″ Parrish Fin is a classic ‘70s era single fin! Tom Parrish is known for those beautiful pipeline, single fin guns, that everybody dreamed about in the mid ‘70s. This fin is a bit refined from what was used then but all elements remain: a wide base and nice curves sloping to a narrower tip. He deserves the International recognition these fins get. Our favourite retro longboard fin. Only in RED. Tom Parrish is a long time honourable man of surf. A great shaper and designer. This beautiful True Ames 7.5″ Parrish Fin is a classic ‘70s era single fin! Tom Parrish is known for those beautiful pipeline, single fin guns, that everybody dreamed about in the mid ‘70s. This fin is a bit refined from what was used then but all elements remain: a wide base and nice curves sloping to a narrower tip. He deserves to get True Ames recognition in these fins. 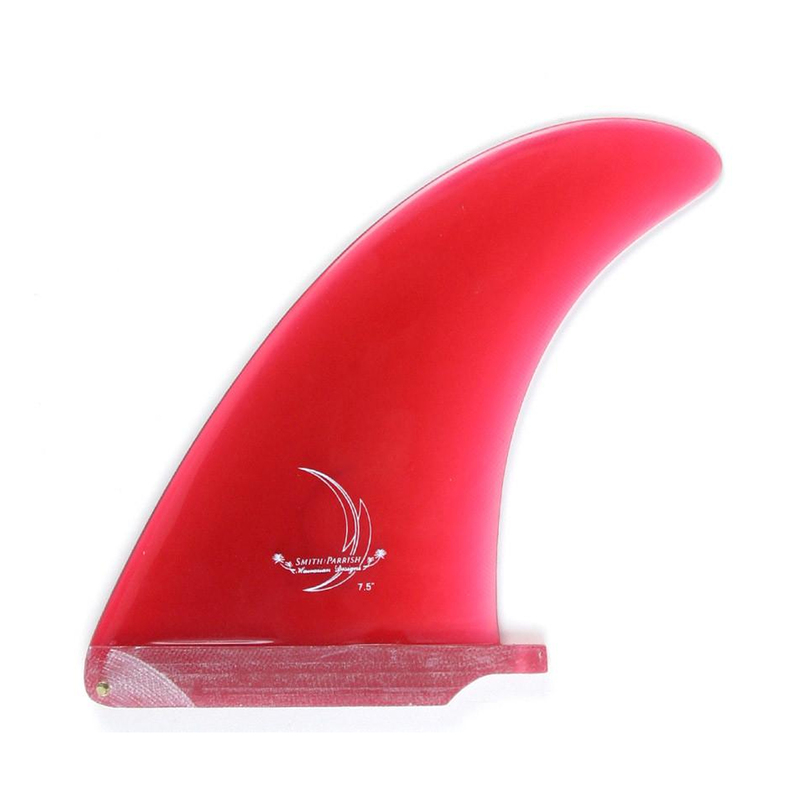 Our favourite retro longboard fin.